(leading to ExpertRating Advanced Microsoft Excel 2003 Skills Certification). Any proficient Microsoft Excel user will agree that Excel is a very powerful analytical tool. Wouldn't it be great to learn how to effectively use every Excel tool at your disposal? 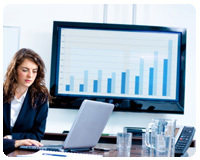 In this course, you'll learn how to maximize Excel's analytical and functional capabilities. 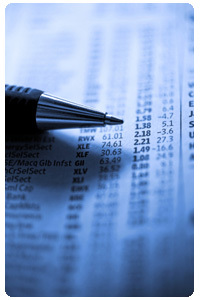 Most organizations rely heavily on Microsoft Excel to consolidate, analyze, and report financial information. Your company is probably no exception. By learning these advanced techniques, you can become more of a value to your organization. Your ability to generate information with increased accuracy, timeliness, and usefulness will lead to better decision-making. In this practical and information-packed course, you'll learn how to use the additional analytical tools provided by Excel add-ins. You'll become skilled in the use of validation to protect the integrity of your worksheets from other, less experienced users. Impress your coworkers by learning how to add functional and eye-catching controls to any worksheet, and find out how to use scenarios and data tables to quickly perform multiple what-if analyses. You'll discover advanced pivot table techniques, like creating calculated fields and calculated items. You'll become adept at consolidating and importing data, and you'll master the art of conditional formatting to highlight duplicate entries and other common worksheet problems. And you'll become proficient at nesting functions within other functions to accomplish just about anything Microsoft Excel has to offer. This course includes a knowledgeable and caring instructor who will guide you through your lessons, facilitate discussions, and answer your questions. The instructor for this course will be Chad Wambolt. About the ExpertRating Online Microsoft Excel Course (2003-Advanced) instructor : Chad Wambolt is a graduate of Boise State University where he obtained his bachelor's degree in Accounting. He has spent his entire professional career in the finance field, working for both privately and publicly held companies with sales ranging from $500 million to $3 billion. Wambolt has become an expert user of Microsoft Excel through the course of his career. His knowledge of Excel's capabilities has helped organizations streamline processes and save countless hours of labor. Wambolt has taught Excel to students of varying skill levels since 1997. Advanced Microsoft Excel 2003 requirements: For taking this instructor led ExpertRating Online Microsoft Excel Course (2003-Advanced) you need Completion of ExpertRating online Intermediate Microsoft Excel 2003 course (or equivalent experience), Microsoft Windows Vista, XP or 2000, Microsoft Excel 2003 or Microsoft Office 2003 (Student and Teacher Edition, Standard Edition, Small Business Edition, or Professional Edition are all acceptable - please be sure to install this software on your computer before the course begins), Internet access, e-mail, and the Microsoft Internet Explorer or Mozilla Firefox Web browser. This course is not suitable for Macintosh users. Microsoft Excel 2000 and 2002 users will be supported in the discussion area. "Thanks very much! My schedule got very crazy but I was able to complete the course. I found that the questions asked by others and the responses from the Instructor and other students helped me greatly!" "Great teaching approach for me - overview, example with practical application and tips." "Enjoyed this course very very much! Found it to be well thought out, easy to follow, and extremely useful. I learned a lot of brand NEW things I had never done and was able to add to what I already know! BRAVO. I would recommend this course to others. Thanks." "You have a number of fine instructors. This one is the best!" "I was able to pick up quite a number of new functions that I can use within my job. I will use the notes and lessons as a reference when I need to use some of the other capabilities of Excel. Good class materials." "I have taken several "abbreviated" advanced Excel classes, but the content of this one was exceptional. I learned a great deal and look forward to applying some of these new tools. Thank you!" "I have taken several on line classes and this was by far among the best of all. The Instructor provides a clear, understandable and interesting format to progress through some sophisticated items related to Excel. I would recommend this class to anyone who needs an in-depth knowledge of Excel and wants to be taught by the best." "Thank you so much! I learned a great deal and feel your teaching style will help me retain what I've learned. If you ever decide to teach an Advanced, *Advanced* Excel course, I'm in." "Chad has been a great instructor in this course. His instructions were clear and concise. His dedication and efforts during the course were above and beyond what one could expect. His contributions in the discussions areas were what made this course exceptional. Thanks again, Chad, for an excellent course." "Best class I have taken so far. I really liked the Excel Workbook. It had the answer on one side and a work area on the other. It also allowed us to focus on the advanced features and not on data input." ExpertRating is one of the world's only ISO 9001:2015 Certified companies (from TUV America) offering an Online Microsoft Excel (2003-Advanced) Course (leading to ExpertRating Microsoft Excel (2003-Advanced) Skills Certification). When you choose the ExpertRating Online Microsoft Excel Course (2003-Advanced) you can be sure that you are buying a premium International certification that is recognized by hundreds of employers and Government bodies in the US and other countries. With ExpertRating you get certified quickly online and you are equipped with a store house of information through the in-depth ExpertRating Online Microsoft Excel Course (2003-Advanced)ware which has been developed by experienced Computer Application Experts. The ExpertRating Advanced Microsoft Excel 2003 Skills Certification is by far the best value for money instructor led Microsoft Excel 2003 Program at $129.99. *Microsoft and Excel are trademarks or registered trademarks of Microsoft Corporation. How much does the Microsoft Excel 2003 Certification (Advanced) cost and what does it include? You can buy this ExpertRating Online Microsoft Excel Course (2003-Advanced) leading to Microsoft Excel 2003 Skills certification (Advanced) at a special offer price of only $129.99 which includes the in-depth ExpertRating Online Microsoft Excel Course (2003-Advanced)ware and exam fee. This is the best value for money Microsoft Excel 2003 Program available till date. You get the following services within the USD $129.99 fee. In-depth ExpertRating Online Microsoft Excel Course (2003-Advanced)ware including scenarios and examples. 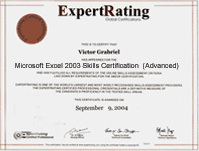 World wide airmail delivery of the hard copy Microsoft Excel 2003 Skills Certificate. The Microsoft Excel 2003 Skills certificate can be used to prove your certified status and does not mention the words "online". The process of getting yourself certified is very simple. All you have to do is buy the ExpertRating Online Microsoft Excel Course (2003-Advanced) for $129.99. Log in to the instructor led course using your password. Go through the ExpertRating Online Microsoft Excel Course (2003-Advanced)ware (which would take you 6 weeks) and complete the final Microsoft Excel 2003 Skills certification (Advanced) exam at your convenience. You can complete the exam within 2 months of buying the Microsoft Excel 2003 Skills certification (Advanced). The result of the exam appears as soon as it is completed, and your Microsoft Excel 2003 certificate is mailed immediately. Chapter assignments to help you practically use the Microsoft Excel 2003 skills that you will learn during the Microsoft Excel 2003 Skills Course. The final exam is fully based upon the ExpertRating Online Microsoft Excel Course (2003-Advanced)ware that is provided along with the Microsoft Excel 2003 Skills certification (Advanced). If you have gone through the courseware properly you should not have a problem clearing the exam. The exam consists of multiple choice questions from all chapters of the ExpertRating Online Microsoft Excel Course (2003-Advanced)ware. Microsoft Excel helps you customize charts, helps to test values and automate actions based on those results. Microsoft Excel is an electronic spreadsheet which can be used to arrange data in rows and columns. Microsoft Excel includes features to use advanced filters, data validation and security features such as protection, digital signatures and passwords. This application helps to speed up the process of analysis of data using single or multiple variations or conditions. Anyone who can use formulas and charts with ease will be comfortable with Microsoft Excel as well. This application is popular with accountants as it helps them to report, sort and summarize data independent of the original data layout. The ExpertRating Microsoft Excel Certification will make you adept with this application by making you understand its nuances and making you confident to use this tool. In the first lesson, you'll learn how to change some of the more obscure Excel options to help you use your time more efficiently. For instance, you'll learn how to set the default file location so that you can open and save files with little effort, and this lesson will talk about how to change the standard font, font size, and number of worksheet tabs in a new workbook. This lesson will go over how to create custom toolbars and drop-down menus so you can quickly access the tasks you use the most. Don't like the position of a command on an existing menu? You'll find out how to move it up or down on the list. By the time you finish this lesson, you'll be extremely comfortable with Excel's behind-the-scenes set-up options and all the customizations that are available to you. Excel is a wonderful tool that you can use to analyze fairly large amounts of data. This information is normally stored in Excel as a table. In this lesson, you'll learn how to use AutoFilter, Sorting, and data forms to effectively manage these tables. A data form is a commonly overlooked tool that can help eliminate the redundancy of data entry. You'll learn how to use a data form to perform such table management tasks as editing, deleting, restoring, and searching for table records. You'll even learn how to use multiple search criteria to create a truly focused search. In an office environment, workbooks are often shared and updated by multiple users. This sharing can lead to integrity issues with the captured data. This lesson will explore how to use data validation to minimize the risk of receiving incorrect information. You can apply data validation to almost any situation to validate numbers, dates, text length, and values from a list. This lesson will take it one step further by creating custom validation rules. You'll also learn how to create valuable input and error messages to further aid the user. In this lesson, you'll learn how to create functional and eye-catching custom controls. What are custom controls? They're drop-down boxes, check boxes, or option buttons that you can add to any workbook. Wouldn't it be useful to control the values in one list box based on the value selected in the first list box? You'll find out just how easy it is when this lesson shows you how to create dynamic list boxes. After this lesson, your command of creating custom controls will surely impress your coworkers. There's more to conditional formatting than just formatting based on cell values, and this lesson will explore all of Excel's conditional formatting options. Formula conditional formatting is a powerful tool that you can use to make your life easier. This lesson will discuss how to use formula conditional formatting to identify all the cells in your workbook that contain formulas. Then you'll discover how to use formula conditional formatting to hide error values in cells, highlight duplicate values in a list, compare values in two lists, and create a very useful scorecard to identify problem areas. The potential uses are nearly limitless! This lesson is all about data consolidation. First it will discuss how to consolidate information from within the same workbook using category labels to filter the data just the way you want it. Then you'll discover how to consolidate data from multiple workbooks without even opening the external workbooks. This lesson will explore using wildcards in the consolidation process to further control the data you're consolidating. Then you'll get the chance to try out Excel's automatic outlining feature to display different summarization levels of information. If you're responsible for gathering information using Excel, you won't want to miss this lesson. In this lesson, you'll discover how useful Excel's built-in functions can be. This lesson will show you how to take a couple of basic functions and "nest" them together to form a very powerful combined function. 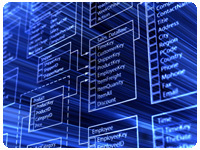 You'll learn how to use the various database functions and how they differ from normal functions. This lesson will then explore using the conditional sum wizard add-in to perform a calculation similar to a DSUM or SUMIF function. Last, you'll discover practical uses for the VLOOKUP function and wonder how you ever lived without it. There are many ways to bring data into your Excel workbooks. You'll learn how to use the data import feature to quickly and efficiently import data from most any outside source. This lesson will start by bringing in an entire workbook tab from another workbook. Then, you'll discover how easy it is to import data from an external database like Microsoft Access. The best part about these imports is that you can set them up to refresh the data at regular intervals so you always have the latest and greatest information from the source. The lesson will end with some practice using one of Excel 2003's new features, called a Web query. Data tables are a powerful but often overlooked "what-if" analysis tool. This is probably because most people don't understand how simple and useful data tables can be. Imagine being able to see all the possible results of a calculation by changing the inputs to the calculation? This lesson will show you how to use a one-variable and two-variable data table to accomplish this. And after this lesson, you'll be extremely comfortable adding this "what-if" analysis tool to your arsenal. This lesson is packed with useful information on how to use three of Excel's powerful "what-if" analysis tools. This lesson will discuss how to use goal seek to calculate one of the input cells when you know the desired result of the calculation. You'll learn how to use scenarios to quickly calculate and compare information. Then you'll discover how to use the solver tool to find the optimal solution to a problem by using different constraint parameters. If you're responsible for analyzing data, this lesson was designed with you in mind. I can't think of a more powerful analytical tool than a pivot table. A pivot table allows you to see different views of information instantaneously by simply adding, removing, or changing an element within the table. This lesson will go beyond just creating a pivot table. You'll also learn how to create a calculated field and calculated item within the table. Being able to create your own calculations within the table is where Excel's pivot table becomes an exceptional tool. This lesson will also teach you how to take the results of your pivot table and create an interactive pivot chart. In the final lesson, you'll discover some great tools that you can access just by installing the Analysis ToolPak Add-in. With this add-in, you can easily calculate a moving average or use its sampling techniques. This lesson will explore using the advanced filter for those situations when the regular auto filter isn't sophisticated enough. You'll finish the course by learning about some of the new features available in Excel 2003, including advancements in list management, comparing workbooks side by side, and using a watch window to see how calculations elsewhere change when you change an input cell.